A bike ride on the Cape Cod Rail Trail will take you through the towns of Dennis, Chatham, Brewster, Orleans, Eastham and Wellfleet. On the 22 mile meander from Dennis to Wellfleet you will pass cranberry bogs, kettle ponds, salt ponds, marshlands and have the opportunity to take one of several detours to a variety of beaches both on the ocean side and the bay side of the Cape. Orleans Cycle is located at mile 13 approximately, at the hub of the Rail Trail. We offer 3 varieties of rental bike, each perfect in their own way to fit the riders needs. 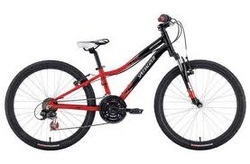 We also offer children's bikes, tag-a-longs and trailers to suit the smaller biking enthusiast. As always our rentals include quality helmets, a combination bike lock and map. Please plan accordingly! Check the weather! There are NO refunds for rain! *Trailer and tag-a-long pricing is in addition to the adult riding equipment to which they are attached. What kind of bike can I ride? FX is our most popular bike, with good reason. 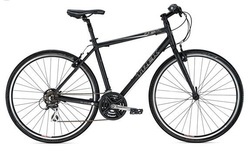 It offers a best-of-both-worlds combination of road bike speed and city bike comfort. It's a perfect fitness bike, and so much more. Around town or the campground, the Expedition is comfortable, plush, and perfect for cruising paved and dirt roads. The 7 speeds will keep you pedaling efficiently on any terrain. Around town or the campground, the Expedition is comfortable, plush, and perfect for cruising paved and dirt roads. The low-entry frame improves convenience and confidence, while the 7 speeds will keep you pedaling efficiently on any terrain. The stiff, light, race-inspired Allez Elite offers great acceleration and handling—perfect for aspiring racers, or as a winter training bike for more accomplished veterans. Race-ready perforce comes built-in with the 10-speed Shimano Tiagra drivetrain and dependable wheel set. Our road bike rentals are $39 for any part of any day. Payment and reservation are taken in advance. Keep in mind that we have limited supply. Each bike comes equipped with a wireless computer, emergency flat repair kit, and the usual helmet and lock. Please bring your shoes (and pedals if you want!) 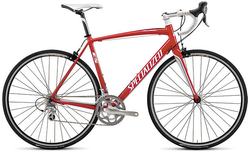 as we can outfit the bike with Shimano SPD pedals or Shimano 105's. We have a collection of Specialized Hotrocks and Trek Jets for boys and girls. Combinations of hand breaks and pedal breaks with or without gears. Features vary depending on size. 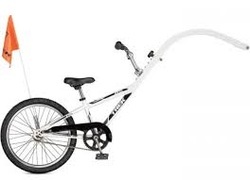 We do NOT offer any training wheel bikes as we feel that the bike path is too dangerous during the summer for riders that small and inexperienced we encourage tag-a-longs for this age group. 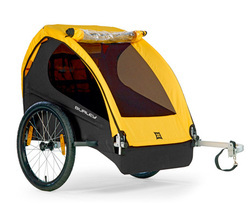 Pedal trailers let you bring your kids along to share in the adventure when the route is too long for those little legs. Broaden their horizons, bike style! TAG_A_LONGS WILL ONLY BE ATTACHED TO OUR BIKES. We apologize for any inconvenience and while we have done it in the past we can't guarantee safety of other bikes and have had to change our policies. Features suspended fabric seating for one or two children (up to 100lb. max), wheel guards and a convenient rear tailgate for easy access to cargo. Perfect for families with children too small to bike on their own. Much safer and more stable than the baby seat the trailer has the added bonus of trunk space for all of your gear. PLEASE NO DOGS. We keep our trailers free of pets for cleanliness and allergy reasons. For the littlest rider, the Topeak baby seat is great for a confident adult rider to tote a child over one year of age and under 40lbs. A wrap-around seat body creates a virtual cocoon of protection and features an updated 6-point harness system. An innovative suspension system cushions bumps and jolts and the integrated roll bar provides extra head protection and doubles as a carrying handle. Adjustable footrests and straps keep small feet away from spinning wheels. The seat is attached to one of our step thru bikes ONLY, the rack system is timely to mount and we can guarantee the safety of our bikes. **We reserve the right to deny use to children over one year who's head does not fit the minimum size helmet. Sorry, it's the law. Scout groups and any group larger than 10 please call in advance! You may not carry any child between the ages of 1 to 4, or weighing 40 pounds or less, anywhere on a single-passenger bike except in a baby seat attached to the bike. The child must be able to sit upright in the seat and must be held in the seat by a harness or seat belt. Their hands and feet must be out of reach of the wheel spokes. You may not carry any child under the age of 1 on your bike, even in a baby seat; this does not preclude carrying them in a trailer. If you are 16 years old or younger, you must wear a helmet that meets U.S. Consumer Product Safety Commission requirements on any bike, anywhere, at all times. The helmet must fit your head and the chin strap must be fastened.